The Dhanauri Kalan village in Uttar Pradesh’s Gautam Buddha Nagar district is the sixth village in the country to benefit from the Ministry of Electronics and IT’s DigiGaon initiative. 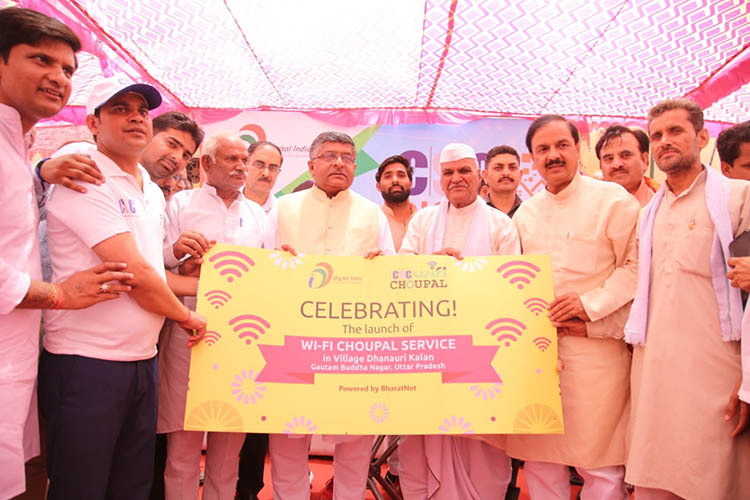 Minister of Electronics and IT, Ravi Shankar Prasad, recently inaugurated a WiFi choupal in the village, which will offer access to internet for as low as Rs. 5. The WiFi choupal has been set up by the Common Service Center (CSC) as part of the DigiGaon initiative and will allow residents to surf the internet at Rs. 25 for 2GB data with a validity of 15 days. The CSC, under the ministry of Electronics and IT, has created a number of entrepreneurs in the village and has also generated employment through various programs. According to a recent report from Zee Business, CSCs have been set up in 1.8 lakh gram panchayats across the country and will spread to 2.5 lakh gram panchayats by the end of the year. The Ministry plans to establish around 700 digital villages in the country by the year’s end. Dinesh Tyagi, CEO CSC e-governance services, further revealed that the villagers will be able to purchase coupons to surf the internet using the WiFi choupal. The coupons will start at Rs. 5 and go all the way up to Rs. 100, offering different validity and data limits. The Dhanauri Kalan village is home to around 1,500 families, allow of which have at least one smartphone through which they’ll be able to access the internet. The CSC has set up around 12 hotspots in the village and has also set up FTTH (fibre-to-the-home) connections in a few homes.